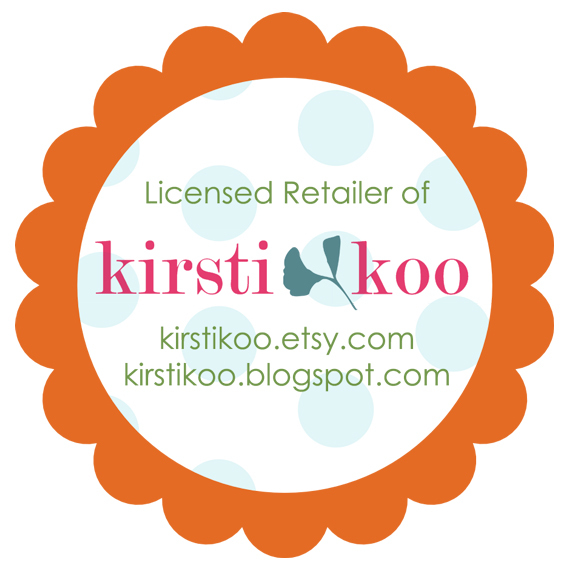 I'm happy to annouce that I am now a licensed retailer of Kirstikoo Designs. Remember a couple weeks ago about the diaper clutch I made using Kirstikoo's pattern? Well I can now sell the item in my shop! I'm really excited about this. After I made the clutch for my friend a few ladies at the baby shower said that they wanted one. :) I will be adding some new items in shop soon!